Northamptonshire is, for many people, simply a place to pass through between London and Birmingham. It is a county that neatly bisects the country - some say it is the place where the North-South divide begins. By comparison to some of its neighbouring Midland counties, Northamptonshire has an almost 'upland' landscape, with gentle hills and the source of at least two important rivers, The Nene and The Avon, which make their way to the sea in opposite directions! It is still a largely rural area where livestock is raised on rich grasslands. In the past, Northamptonshire was frequently referred to as the "county of spires and squires" due to the large number of wealthy landowners who built great country houses here. The "squires" also sponsored the building of many fine parish churches with distinctive soaring towers and spires, perhaps to demonstrate their wealth and power. The county is still the home of the finest hand made shoes and leather goods. Those who know the county well will delight in the wonderful photographs this book contains, appreciating the 'inside knowledge' of a photographer who has sought out less well known locations as well as the principal places of interest. 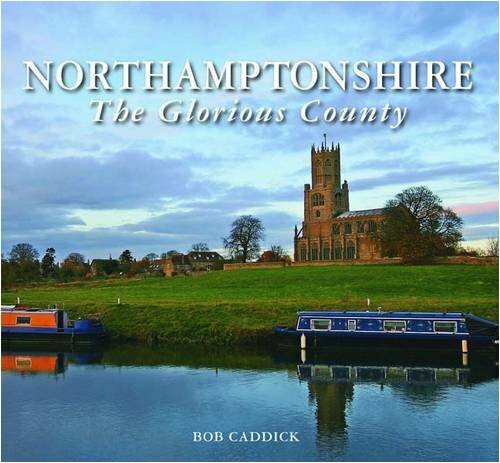 For those yet to discover the delights of Northamptonshire, this book will provide endless inspiration to explore. Bob Caddick is a specialist travel and landscape photographer, who fell in love with making memorable images when his parents gave him a Brownie 127 camera as a child. A career in journalism and later in marketing communications for a major international group, has allowed Bob Caddick to travel extensively in Europe, the USA and Middle East. Based in Northamptonshire, Bob is centrally located and his images reflect the varied scenery and activities around him.